Wednesday’s action came just weeks after hundreds of fast-food workers walked off their jobs in New York City, also in a push for higher wages. Late last year, Wal-Mart workers in select cities staged protests, seeking higher wages and benefits as well as pushing back against the retailer’s decision to open on Thanksgiving. The protests have been gaining steam in the fast-food and retail sectors — which have generated the most jobs since the recession, labor experts said, but are among the lowest paid. Many advocates point to education and training as the best way to move people out of low-wage jobs and into careers that command a living wage—and, ideally, a middle class income. But that argument doesn’t attempt to address the problem of stagnant wage growth in the low wage/low-skill jobs they hope to move people out of. And no matter how much we invest in adult education and training, we’re still going to be looking at considerable growth in these kinds of jobs for the foreseeable future (not just retail and food preparation jobs, but other low-skill, low-wage jobs, like child care)—jobs that presumably we’re still going to want someone to perform (and most of which can’t be outsourced to other countries). I still think we’d have a better economy/society with higher levels of educational attainment…I’m quite certain, in fact. It’s wrong to think that the jobs of the future all will demand wicked high skill sets—we’re going to need lots of home health aides, cashiers, security guards, equipment technicians, child care workers, along with high-end engineers. But to have smarter, better educated people in all of those jobs makes all the sense in the world. In other words, supporting education and training for all workers at all levels makes good economic sense, whether you accept the skills gap argument or not. But, again, that doesn’t address the problem that, currently, many low-skill jobs don’t pay enough for people to live on, and there’s little incentive (or opportunity) for someone to become a better trained or better educated cashier, for example, if wages for that line of work are stuck at a level that keeps them in poverty or close to it. At the same time, there doesn’t appear to be an incentive for employers to pay more for employees at this level, whatever their skills are. Maybe there is a better way to address this problem that does not involve boosting the minimum wage (or even better, passing living wage laws), but if I were suddenly made the all-powerful Grand Poobah of economic policy in this country (this would be in an alternative universe where actual experience in—or knowledge of—economic policy was not a prerequisite), I think the first thing I’d push for is to just give everyone making less than $10/hour or less a raise to $15/hour—and then see what happens. Here’s what I think might happen: obviously, minimum-wage workers and their families would be better off right away, but I assume that the boost in wages would also have a stimulative effect on the economy as a whole, too (thus leading to more job creation), because even with that raise, people making just $15/hour are going to be putting most of those dollars back into the economy. I also suspect that demand for adult education and training would actually go up, despite the fact that minimum-wage workers would presumably be happier in their low-skill jobs. Even a large minimum-wage boost is not going to make people rich, so I don’t see how it would kill off the incentive to pursue education and training for a career in a field where the pay is even better. What it would do is provide more people with the time (fewer people working two jobs) and the economic security (fewer people worried about where the next rent check is going to come from) to successfully pursue those opportunities. I’ve had a pet theory for some time that the best way to boost adult education enrollment and retention rates in any community would be to pass a living wage law and provide universal child care. Again, in education circles we tend to think of education as the primary policy lever for moving low-skill, low-wage workers into a position where they can command a higher wage, but stagnant wages and growing inequality is an issue that education alone is not going to solve. 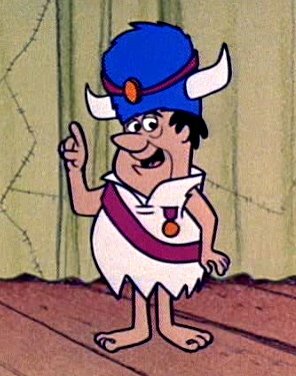 I hereby nominate you for all-powerful Grand Poobah. Raising the minimum wage would have a benefit in addition to those you mention. Wages would go up for some workers who aren’t minimum-wage earners because employers would adjust their pay scales to preserve a differential between the lowest-paid and those with somewhat higher skills and/or more consequential responsibilities.